A musical that turns current events into showtunes! 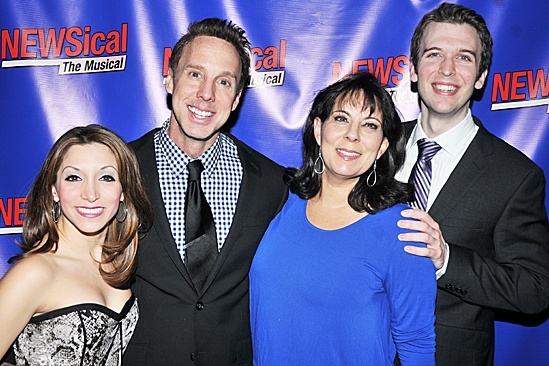 NEWSical stars Christina Bianco, Michael West, Christine Pedi and John Walton West are all smiles on their opening night. NEWSical the Musical: End of the World Edition opens off-Broadway on February 1, 2012.